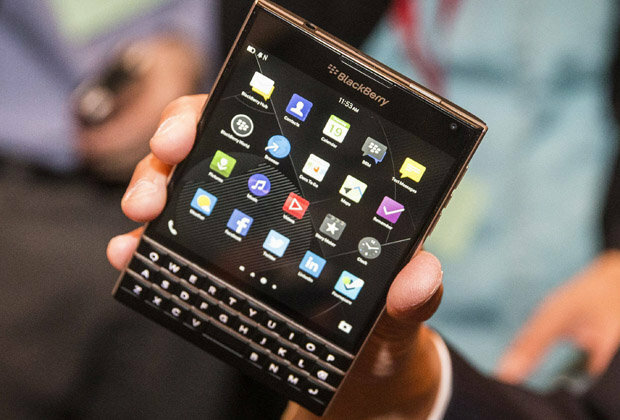 Troubled Canadian smartphone maker, BlackBerry has officially launched a new device last week which is presumably a phone but bears an odd shape — it’s flawlessly square.The new handset bears the name “BlackBerry Passport” and is loaded with a unique 4.5-inch square display glass with full HD capabilities. The handset also boosts a separate keyboard attached to the screen, as we see in typical BlackBerry smartphones, but it possesses only letters, not numeric or punctuations. The interesting fact about the square display is that it gives identical viewing space to a handset with a rectangular display that measures five inches across the diagonal, and enables it to display 60 characters on every line, rather than 40 on most rectangular smartphone panels. The suitable number of characters on a single line in a book is 66 characters, as per the academic research. With the help of this new phone, users won’t bother now if the device is in portrait or landscape direction for appropriate viewing of documents, spreadsheets or pictures, thus claiming it an impeccable device for professional users like businessmen, architects and doctors. BlackBerry executive John Chen first revealed the arrival of BlackBerry Passport in a revenue report last month. He mentioned that this device will see the sun on this planet presumably in London in September, 2014. Since then, a number of leaked images and snapshots of this smartphone was seen on the web.